The Jabra BT5020 is arguably one of the best headsets on the market, offering a powerful set of features and remaining at a low price. 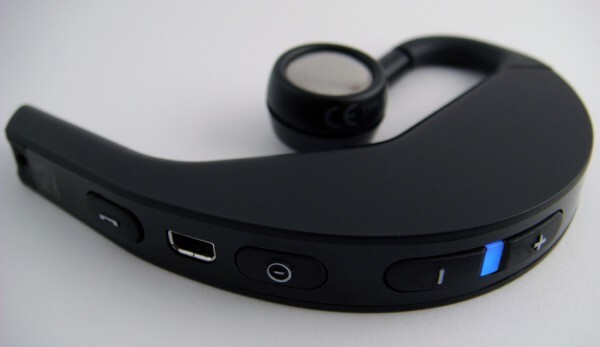 Other than it’s ability to connect to two devices at once, the headset also boasts a whooping 10 hours of talk time and 300 hours of standby. Just like any other headset, the BT5020 is easy to control as it only has a few buttons: Volume Up/Down, Power, and Talk/End. The volume keys are a bit sticky and difficult to press while wearing, but shouldn’t be an issue once setup properly. With one simple twist, the headset can be adjusted to be worn on the left or right ear. Since the earbud slides up and down, the headset fits most people. Once placed over the ear properly, the headset stays in place quite well. When compared to other wireless headsets on the market, the BT5020 remains comfortable to wear even for extended periods since it’s extremely thin and light weight. Also since unit resides behind the ear, it isn’t too apparent. For people who need to make long important calls, this is probably the best and most affordable way to go since the voice quality is clear, offers 10 hours of talk time, is comfortable to wear, and costs about $50. Other headsets near the Jabra BT5020’s range include the Plantronics Discovery 665 and the Aliph Jawbone, however these cost around $100-150 and offer background noise-canceling features. 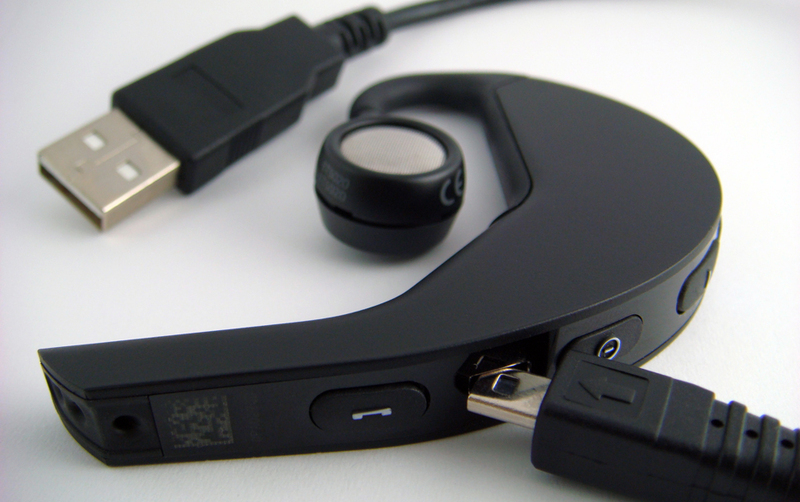 This headset will work great for most people, is quite durable, and it isn’t too expensive to keep people from using. As we mentioned, the BT5020 is available online for just $53. are actual human beings supposed to be able to read this site? with the corduroy textured background the text is entirely obscured. please, take a design class. The browser you are using might be outdated or the server failed to load some of the images properly. Please try pressing the refresh button and it should become a whole lot better. Thanks for the review of the 5020; I’m not clear on it’s noise cancelling capabilities though. the last couple of sentences make me think the 5020 does not block out background noise. The 5020 does NOT offer noise canceling capabilities, but it does offer Wind Noise Reduction. This means, if wind is blowing by your headset, it will help reduce those artifacts for the person that is listening to you. If you do want noise cancellation tech, it will be a lot more pricey than this one. P.S. Skatter Tech should work perfectly on the latest versions of Firefox, Internet Explorer, Opera, and Safari. And on XP, Vista, OS X, and Linux. If you are experiencing a problem please let me know. Does the BT5020 come with those nice little ear buds as pictured on the website? I’m worried about the earpeice not fitting to my ear properly. Hi, I just bought my BT5020, and it doesn’t come with the little ear buds you talked about? I also own (2) BT5020s (1 bought for a backup – haven’t opened it yet) and I did not see the ear buds pictured in my package either – maybe they’re hidden somewhere? I’m very interested in this because the fit in the ear is one of my complaints with this unit. I don’t know what “wind noise reduction” this unit has, but it’s just as bad as all the other ones I’ve tried in the wind. It’s rare for me to find a headset that is not substantially worse than just holding the phone to my ear in that regard. I may actually consider the uber-pricey Invisio Q7, but the initial hands-on reviews I’ve seen of that weren’t that glowing either. Some day someone will make a BT headset with a retractable boom that can actually position the microphone in front of your mouth when you’re on a call. Until then, I think we’re going to be waiting forever for the Holy Grail.. I just bought the BT5020 for 29.99 at Fry’s and it DOES come with 2 ear buds.They’re in a small zip lock bag. I am thinking of buying the 5020 having used a 500v for a couple of years, if you have wind noise problems with this type of headset, either buy or make yourself a small foam cover to go over the end of the mike, this works perfectyl in the windyest of conditions. Think i am going to go out and buy a 5020 though. where can i buy more earbuds? i keep losing them. Sometimes they are nice and will send you the buds for free since it costs pretty much nothing. And I also believe your warranty might cover something of that sort. But either way I doubt they would charge more than a few bucks for a couple of those ear pieces. Just try giving them a call. Also if you don’t mind let us know how it turned out with another comment after you figure it all out! I cannot enable vibrate mode on my BT5020. How do I do that? I tried turning it on while holding down the two volume buttons but that did not work.